"Free your mind. Express yourself. And above all be open." Detective Lars Winkler has to have an open mind to solve this @jakobmelander novel. 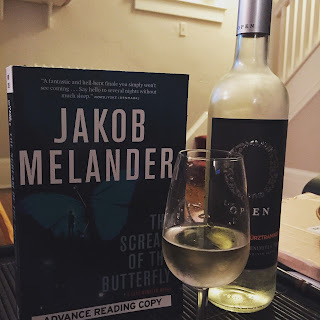 #thescreamofthebutterfly chills well with @OPEN_Wines Reisling-Gewürztraminer. Books & Wine so divine This is the start of something new. Stay tuned for other book and wine pairings from SukasaStyle.